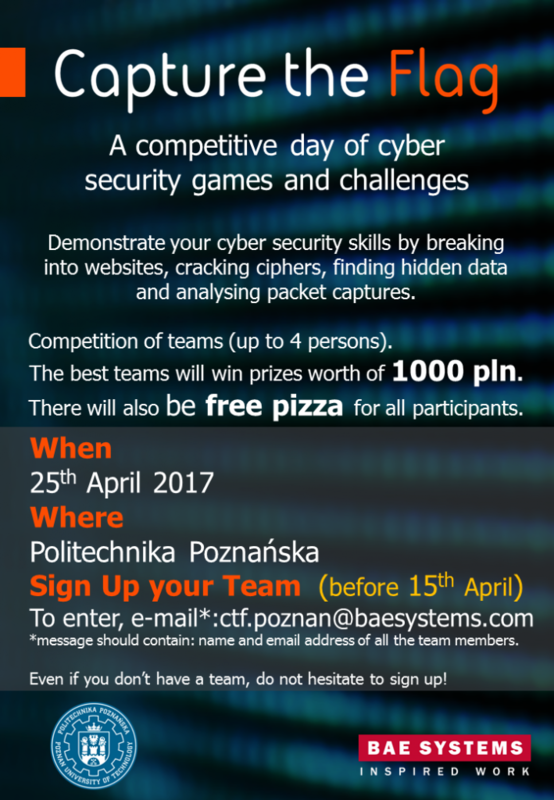 Faculty of Computing together with BAE System is organizing the next edition of cyber-security competition “Capture the Flag”, which will be held on April, 25th. This entry was posted in Aktualności and tagged Capture the Flag, contest, cyber-security. Bookmark the permalink.